Photo: Courtesy of My Wardrobe. More than ever, the lines that distinguish menswear from womenswear have been blurred quite a bit. But, that extends beyond frilly J.W. Anderson looks for men and Theory serving up androgynous pantsuits. Instead, as pointed out by Pantone, ladies and fellas have found common ground in their shared appreciation of colors. To be more specific, it's sangria. Again, we're talking about the shade. 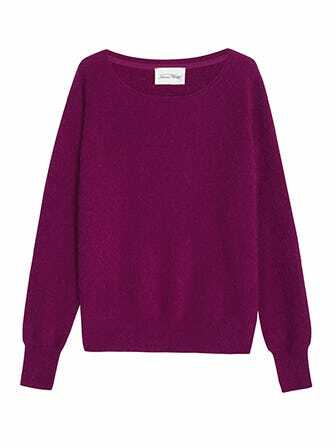 The deep purple-red hue is the most popular one used in the fall '14 collections by men and women designers. And, as WWD points out, this means something greater than men and women dressing in a matchy-matchy fashion. It's also a sign that designers and consumers alike are straying from those traditional, expected autumnal colors (such as burnt oranges and browns) and opting for something a bit more outside the box(ed wine).